How long will it take for the European 'crisis' to be re-framed as the new norm, and what are the potential consequences of that shift? When things go wrong, we generally tend to speak of crisis. Yet, the term ‘crisis’ refers to the ‘exceptional’, to a harmful turmoil that will sooner or later diminish to a parenthesis before returning to normality. Well, this is not the case anymore. The reality we live in is not a human rights crisis. It is a new era. It is a transition: nowhere as visible as in the collective condition of vulnerability that saturates global politics from Sub-Saharan Africa and South America to the Far and Middle East, Europe and Central Asia. Seeing the juncture as a transition, as a chain of causes and consequences, implies that we should conceptualise the 'crisis' as a meaningful movement away from and not toward democracy. 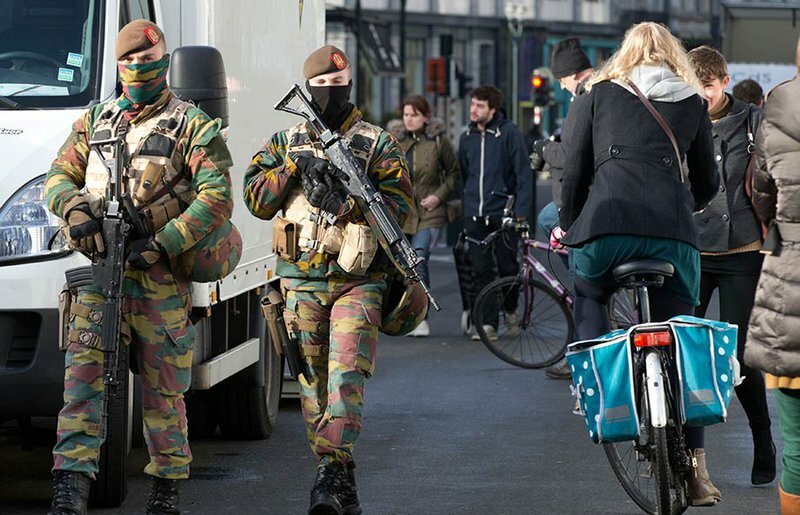 If the state of emergency becomes the norm in Europe, then rule of law faces a global threat. It is indeed a transition towards the unknown, yet with one known consolidated global consequence: the exacerbation of inequality, within each and every country and throughout the world. This volatile situation is reflected in the ongoing developments of global human rights threats, where next to states, non-state, private and corporate actors have an increasingly significant role in human rights violations. The political developments initiated in the 1990s in Africa and in the new millennium in the Middle East and Maghreb spread hope against atrocious military regimes. Yet, as we are witnessing today, these changes in Syria, South Sudan, Yemen and even Central Africa have led to geopolitical instability, restoration of authoritarianism, dehumanisation of Islam, and ongoing bloodshed. At the start of a new year, we need to remind ourselves of the old motto: no peace without justice. Our commitment to holding individual perpetrators of crimes against humanity to account through the international criminal justice system must remain unshakeable, so that justice and accountability becomes an inherent element of this transition we are going through. Otherwise, the new era will be governed by impunity and war. It is a world of change, yet traditional human rights dilemmas persist and new challenges are emerging. More than ever, we need to keep our eyes open, as my organisation's motto, the International Federation for Human Rights, aptly puts it. Human rights work is becoming increasingly complicated, as against us are not just autocratic governments but also new (state or non state – international or national) actors that require a more robust and multifaceted strategy to effectively combat. The EU is one of the strongest actors currently able to hold other states to account in terms of human rights violations. Therefore, the undermining of human rights within Europe has an extraterritorial impact, as the loss of credibility for European human rights discourse and the blatant existence of double standards makes it more difficult to pressure third countries to safeguard and implement human rights policies. If France can’t emancipate from its 'Etat d’urgence' (i.e. state of emergency), why should Turkey? It is not just that Europe faces human rights problems of its own. The European setting offers a case where the human rights problems in a specific region lead to global repercussions. On the one hand, austerity politics, shaped by the EU and its locomotive Germany, undermine the core of a democratic polity and target social cohesion. On the other hand, infringements to the principle of separation of powers within the EU are intertwined with the rise of racist state policies. We can see the former in Greece, which has become the acute symptom of a European disease, and the latter in Hungary’s exclusionary policies eroding rule of law. These are, alarmingly, becoming 'prerogatives' of developed democracies, of countries that regard themselves as bastions of rule of law. This historical shift to a more routine ‘state of emergency’ questions fundamental human rights acquis. Should that become the norm in Europe, then rule of law faces a global threat. If France can’t emancipate from its 'Etat d’urgence' (i.e. state of emergency), why should Turkey? And then who comes next? If the EU can’t stand refugees, why should Turkey? It is this same student who would assure you that no transition has a prefixed destination, should that be good or otherwise. The outcome depends on the task we give ourselves in the struggle. And the song remains the same in every struggle: “which side are you on”?